Takes 5 minutes to make and sets in about an hour in the fridge. This recipe is packed with healthy fat and protein to balance the small amount of sweetener. 1. Blend all the ingredients except lecithin granules until thick and creamy. 2. Add lecithin and combine well. 3. Pour into dish or individual glass bowls and set for an hour in the fridge. Delicious served with fresh strawberries or raspberries. 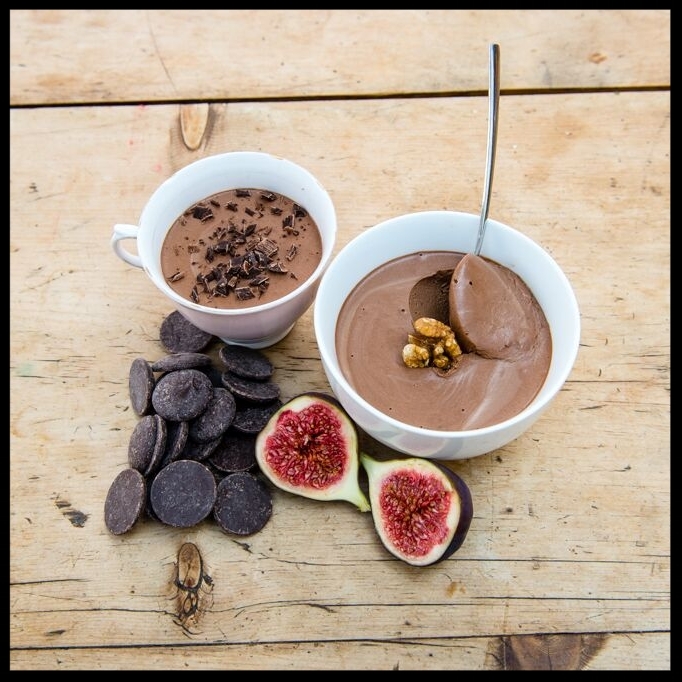 Indulgent Chocolate Pudding - perfect antidote to sweet, choccie cravings.